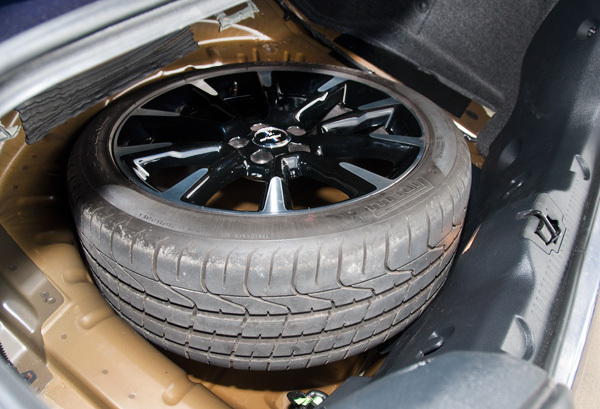 The V6 Mustang Performance Package does not include a spare tire. 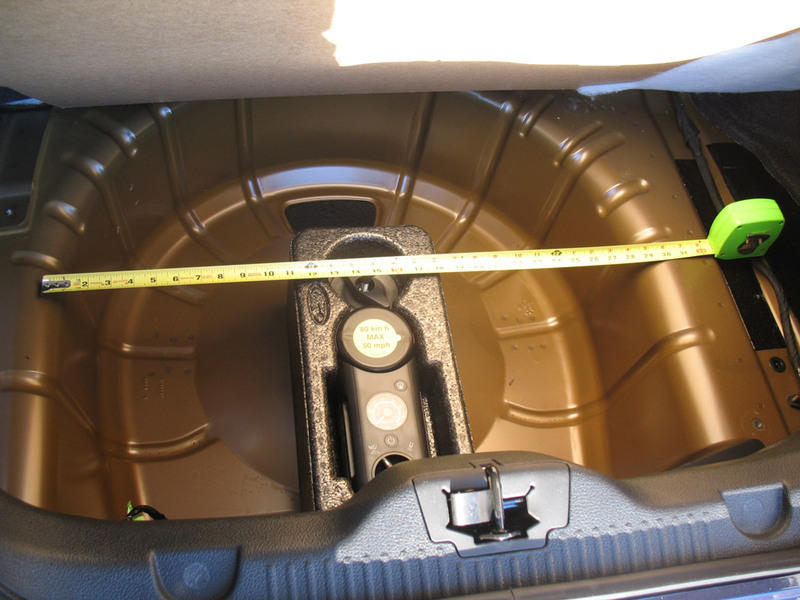 There is a wheel well in the trunk but it will not house a full 19″ wheel and tire. 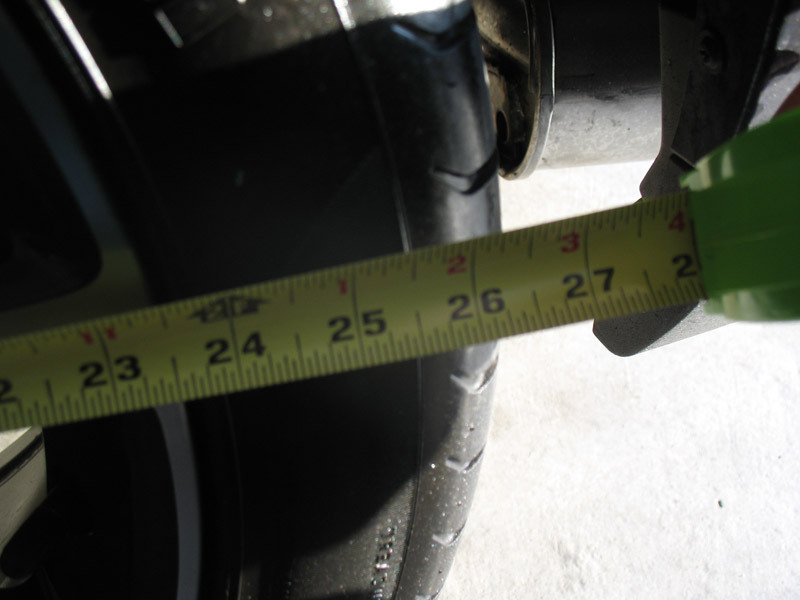 I measured the wheel and the tire and it does seem that it would work. 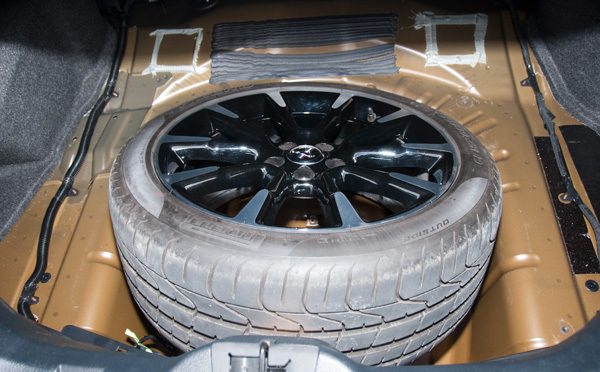 The 19″ wheel and tire combo are about 27″ in diameter and the wheel well is about 28″ in diameter. however this is not the case. The stock 19 inch wheel will not fit in the wheel well. I also have a set of 19″ wheels and stock Pirelli Nero tires with 245/45 ratio and they are larger than the 255/40 that came stock on the performance package.